After more than two decades in Charlotte, the Carolina Actors Studio Theatre is shutting down because of declining ticket sales and continuing financial challenges. Carolina Actors Studio Theatre is known for being edgy. Take the show Steambath. Here's artistic director Michael Simmons describing it in a promotional video a few years ago. "Steambath! You wake up one morning. You're dead," Simmons says. "You find yourself in a steambath and God is Puerto Rican …." But the creative risks didn't translate into strong or significant financial support, says board member Lisa Walker. She says it was like living paycheck to paycheck. "It's not a matter of we're drowning under debt," Walker says. "It's a matter of … we have no ... we don't have enough income year over year to manage to sustain. We've eaten away at any sort of resources that we have in that regard." She says CAST has been struggling to raise money from companies and private donors like it used to – particularly in the last two seasons. Full disclosure: WFAE has been a media partner of several CAST shows. Many arts groups in the Charlotte area face similar financial problems – as highlighted in a recent Cultural Life Task Force report. One of the report's recommendations is for more government funding of the Arts & Science Council, which in turn distributes that money to arts groups. The final performance of Carolina Actors Studio Theatre is Saturday night with Gruesome Playground Injuries. It will mark the last of 64 productions during its eight years as a non-profit theater company. 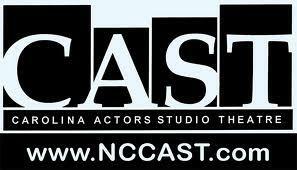 CAST was first formed in 1992. For years Charlotte’s cultural institutions have faced a stark problem. Admissions and ticket sales aren’t paying the bills. And donations, big and small, often don’t make up the difference. So city and county officials put together a task force to come up with suggestions on how to keep the arts afloat in our area. After more than a year of work, the Cultural Life Task Force has released its recommendations.